What would happen if one of the campaigners who have been taking to Berlin’s streets to protest about rent rises came to Dublin to see how the Irish renters manage? I am not sure they could cope with the shock. Our pretend German, let’s call her Helga, might have a look online to see what a single tenant of limited means can afford in our capital city. Here’s a swift flavour of what she might find; a two-bed city apartment for €2,650 a month perhaps; or here’s one for only €1,050 – a week. How about a one-bed then; there’s a downright shabby but well-located one of those for €1,450 a month? Still too steep? How about subletting a bedroom in a shared house a couple of miles out of town for €1,000? Meanwhile back in Berlin, where there’s mass outrage over rents, an outlay of around €1,000 would even now get Helga a very pleasant renovated apartment measuring around 80 sq m (or a generous two-bed). Rental prices have doubled in Berlin in the past decade. It was a legendarily cheap place to live at one time, and as many as 85pc of the city’s residents rent their homes. Now Berlin’s housing activists are so angry about the rising cost of rental properties they want the city authorities to take back control of nearly 250,000 apartments that are currently in private hands. They want a referendum held to ban big landlords. They are busily gathering signatures to make this happen. Their single big enemy is a company called Deutsche Wohnen, which owns a staggering 111,500 apartments in the city (and which, incidentally claims it charges just €560 for an average 60 sq m apartment, which – if true – would qualify it as a heroic champion of cheap housing here). Paul Alfred Kleinert, an author and translator who has lived in Berlin’s fashionable Kreuzberg district for 33 years, told Associated Press last week that entire streets in his neighbourhood had been purchased by Japanese, Norwegian or American consortiums, with predictable outcomes for tenants. The group wants the city to buy the apartments of any corporation that owns more than 3,000 units, arguing the price should be “determined with due consideration of the interests of the general public”. The units would then be used as affordable homes administered by tenants and elected members of the public. Profits would be put back into maintaining and modernising them, as well as building new housing. It’s hard to overstate how radical such a notion will sound to the average Irish ear. 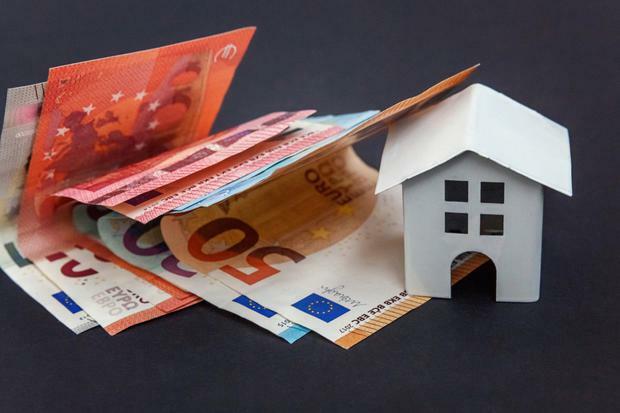 The United Nations has in recent weeks condemned Ireland for allowing multi- national funds to buy up vast swathes of properties and then rent them out at sky-high prices. We learned this week that big corporations spent more than €1.1bn buying a record 2,923 Irish housing units last year, five times more than in 2017. Partly as a result of activity by so-called cuckoo funds, Irish rents are now predicted to rise by a further 17pc in the next three years. But despite all of that, how many of us truly want to abandon the rules of the market? Back in Berlin, there’s actually every chance a clampdown on big corporations could ensue. Residents, after all, already campaigned successfully against development at the empty former Tempelhof airport site (it’s now a public park). A poll taken earlier this year found 44pc of Berliners think nationalising large landlords is desirable, while 39pc disagree. It all reflects the reality that Germany has been a bastion of moderation and sense where rental housing is concerned, with the result that generations of Germans have been able to rent, reliably, in excellent conditions and for decades on end, without the fear of galloping costs or sudden expulsion. It’s been crucial, of course, as more Germans rent than own homes than do citizens of more or less anywhere. But it is food for thought as our own housing ownership rates fall. The mere fact that practically all Germans can tell you precisely how many square metres they inhabit tells you a lot about how different the attitude is in Germany about housing compared to here. In fact, all told, the German rental market is a different world of candour and transparency. Apartments are priced first and foremost according to their dimensions. People approach the business of picking a place to live based on a careful and candid assessment of the value proposition of the plan. There are basic rules and standards about various other things that also affect pricing – does it have a kitchen (many apartments don’t as owners assume you’ll want to install your own as you’ll be there for years)? Does the landlord cover all bills or not? And is the home an old building or a new one? So landlords don’t get to just pluck numbers out of the air when it comes to charging for accommodation; there are accepted rules about what things are worth and everyone knows them. And rents can’t be raised during a contract without very good reason. There’s a rule across most of Germany that a new rental contract can’t seek rent of more than 10pc of the average cost of renting in the area. Equally tenants have to pay hefty deposits to move in and they are obliged contractually to take care of their properties. They have to give three months’ notice, on average, if they want to move out. They also have to redecorate apartments before they leave (and, as a result, wherever they move on to, the place will also have been newly painted). It’s against this backdrop that the unfamiliar phenomenon of rapid rental increases plays so poorly in Germany. It’s essentially a breach of a long tradition which has meant long stable tenancies and steady, but unremarkable, yields for landlords. It has made for a more boring housing market, and it’s also less lucrative, but it’s one that allows people to live within their means. No wonder Germans just won’t stand for the brave new world of corporate landlords. Well, good on them. There is sense in what they say. As we grapple ineffectually with our own housing crisis, we could do worse than keep a beady eye on Berlin.